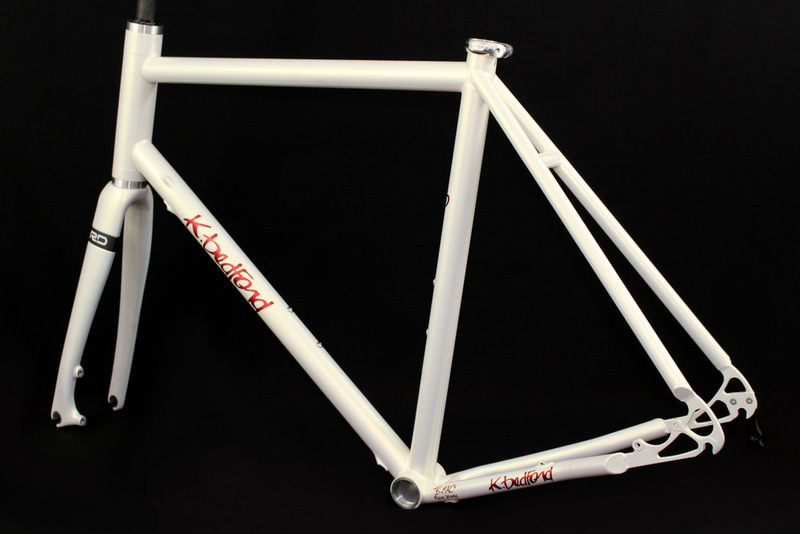 Titanium road frameset in Pearl White with Disc Brake Package and internal cable routing upgrade. 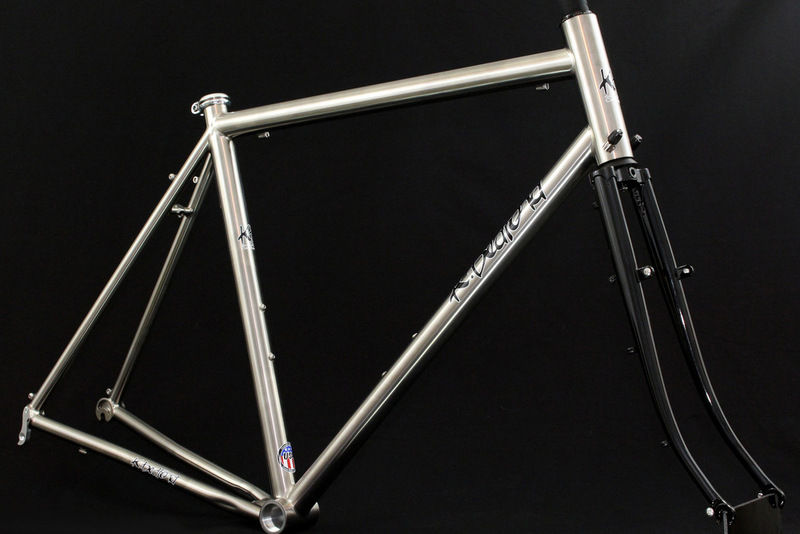 Titanium road with Touring Package in raw polished titanium finish. Like most long-time frame builders, the first part of my career revolved around building with nothing but steel. 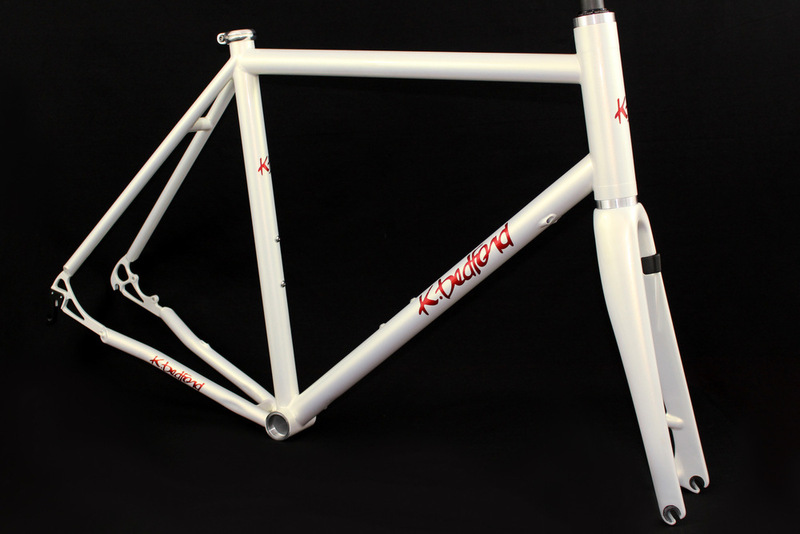 In the 1990's titanium came on the scene and in a few years, grew to become the go-to material of choice for high-end, ultra-light race bicycles and not without good reasons: Titanium is incredibly strong, relatively light and completely impervious to corrosion from the elements. 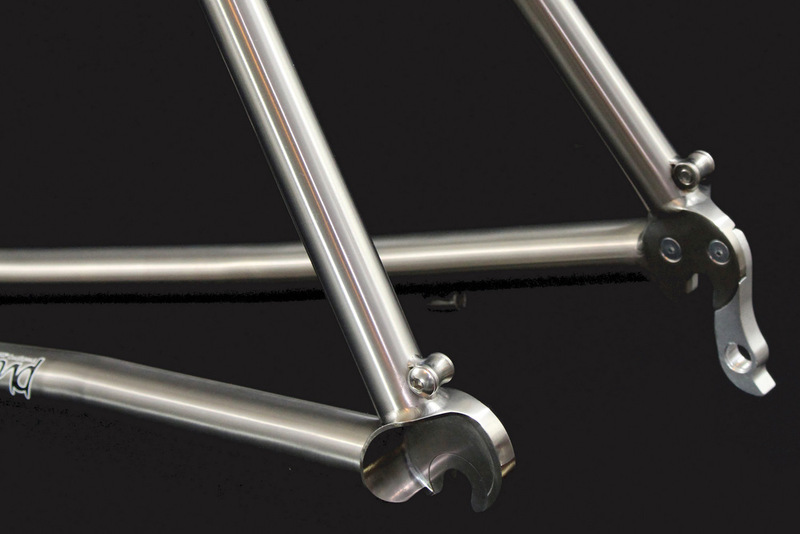 If built from properly-sized and worked tubes, titanium bicycles can also be the near-perfect balance of smooth and responsive. Despite the natural advantages of the material, titanium has some difficult behavioral characteristics from a fabrication standpoint and can be unforgiving of poor building methods and sloppy welding techniques. 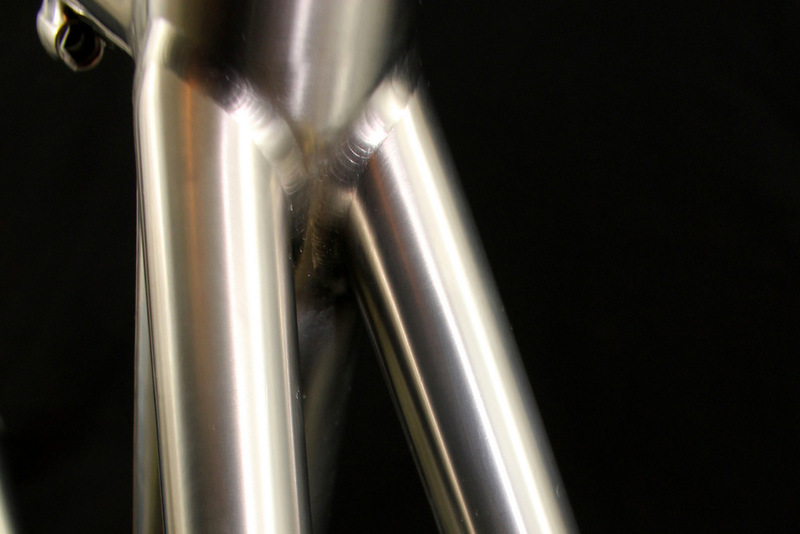 I've been building titanium bicycles for 20 years and in that time, the quality and availability of the raw materials has increased markedly as have the construction techniques to derive the most from this amazing metal. Over the decades I've learned how to maximize the inherent benefits of titanium while all but eliminating some of the less desirable aspects of the material. 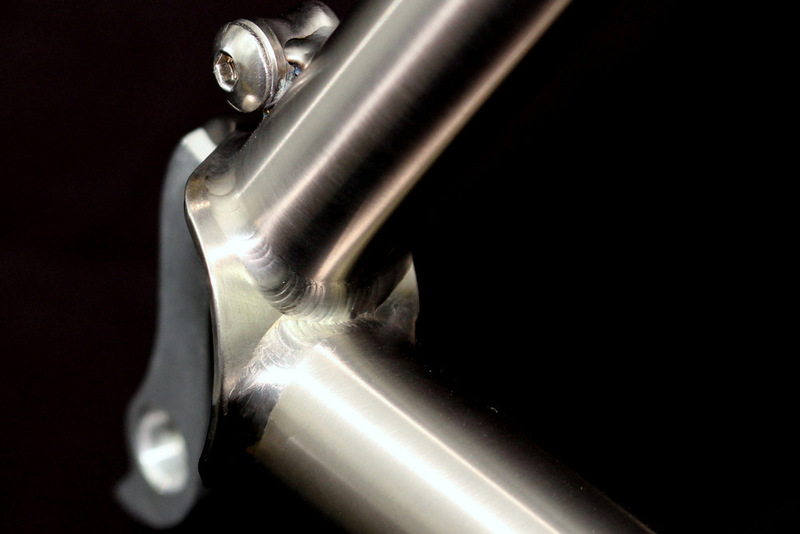 In short, my titanium bicycles are honed to be amazingly competent, refined riding machines for any style of riding, road or trail for riders of nearly any size, ability and need.